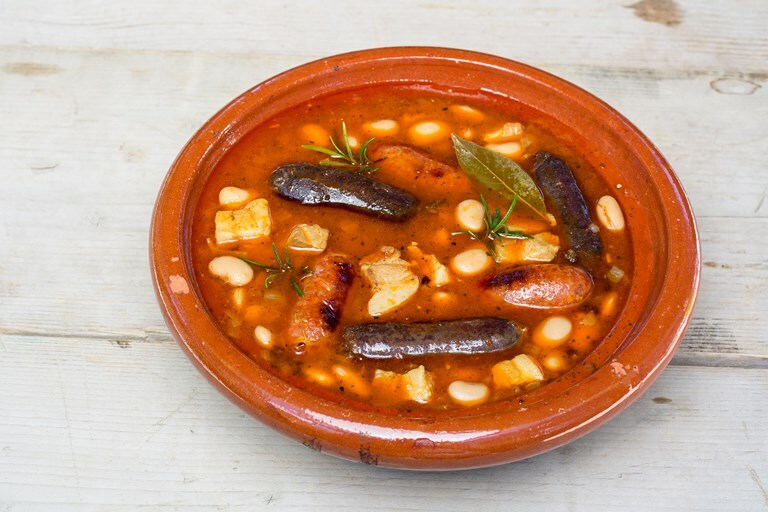 This classic Asturian fabada recipe is a pork lover's dream, packed with chorizo, morcilla and pork belly for a rich, piggy flavour. The base of this Spanish stew, made with white beans and a hint of pimentón, is best served with plenty of bread to mop up all the juices. Hailing from the Asturia region in northwest Spain, but understandably popular across the whole country, fabada is an incredibly tasty dish considering how simple it is to make. Good quality chorizo and morcilla is the key to a good fabada, and if you can find cured or smoked pork belly, even better! If using dried white beans, be sure to soak them overnight before cooking.